He was born in Santiago, the capital of Chile, on March the 12th, 1974. Since his very childhood he was characterized by a great inquietude and a huge necessity of no limits search, which will lead him to find a communication means through Art. 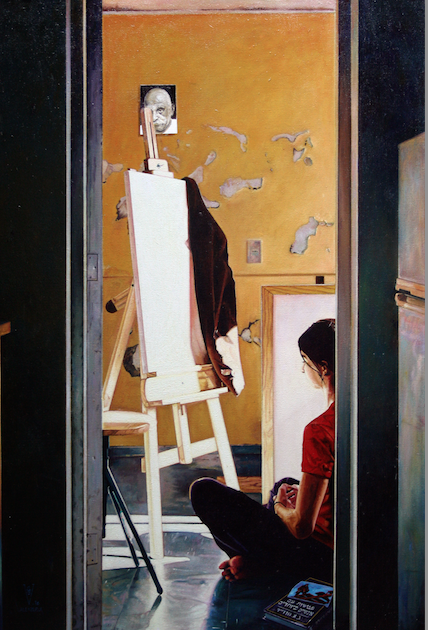 At 18 years old he starts his formal studies of Painting with Master Ricardo Ramírez, the founder of Arte Real International Painting School, which is based in the work of the Ancient Techniques of the Great Masters. His Master gives him knowledge in the Painting tradition referred to composition (Form, Value, Color, Rhythm, etc.) and also about the working materials (Alchemy). Thus his learning is begun in the field of Compositional Drawing, Structural Drawing and Sketching, as the painting techniques such as Frank-English (Pre-Raphaelites, approach to painting), Flemish and Venetian Grisaille, Venetian Technique, Baroque Technique, Claire-Obscure and Velazquez technique. In parallel he studies Art History and Restoration in SEK International University of Chile from 1993 to 1996. Within a period of approximately four years of silent working he heads to the beautiful city of La Serena in the fourth region of Chile to establish the first branch of Arte Real School, is in this city where he begins to give all what was learnt with his Master to pass it to his students. It is so how he starts to work as a Teacher and Director of Arte Real School. As an accomplishment of one of his many projects he works with Israel tourists, who traveled through America and are passing by La Serena, Gustavo gives them intensive painting lessons obtaining remarkable results and very good welcoming from the foreigner students. Through this time he starts the formation of a group of students who desire to become disciples to project themselves as as future teachers or develop a professional artist’s career. brings to reality an initiative aimed to Visual Arts school teachers of basic and middle level, meant to offer a new alternatives to the education of Arts in Chile through schools. Within this year and based on the experience of Arte Real in Santiago, he developes the Children Painting Academy in La Serena branch to forge solid cultural roots in the youngest and give the community an alternative development opportunity for kids who have an artistic inclination. In the beginning of this year as well he starts his painting works, with the objective of expressing all the experience acquired through the years in the shape of a personal artistic proposal. In January of 2004 gives lessons to Israel students in painting techniques and is in February when he opens his first personal exhibition called “Magical Realism” in the “Horace Richter Gallery”, being supported by the prestigious gallery owner Ilana Goor. In April of 2004 he opens his Painting Studio “Florentin 13”, Tel Aviv, where he starts to create his work and in parallel gives lessons. In June of 2004 is invited to participate if the public painting auction “Tiroche Action Gallery”, obtaining excellent critic of the Israel Public. In July of 2004 is invited to work as one of the painters for Smart-Publishing Gallery of USA Miami, Fla. Associated to Art Business News, newspaper directed by Rami Rotkopf. In January 2005 concentrates in his new exhibition project “The Beauty of Daily Moments” which will be his second personal exhibition in this country. In June 2005 works in the same time in his new project “Looking Israel from the Inside” with the purpose of showing the point of view of a Chilean artist in a different way form the notions and conventions that one may have in the world about Israel to expose other human aspects in the social, emotive, customs, etc. From the personal sensation of this artist. Since January 2009 he works as restorer exclusive auction house and gallery Montefiore, Tel – Aviv Israel. 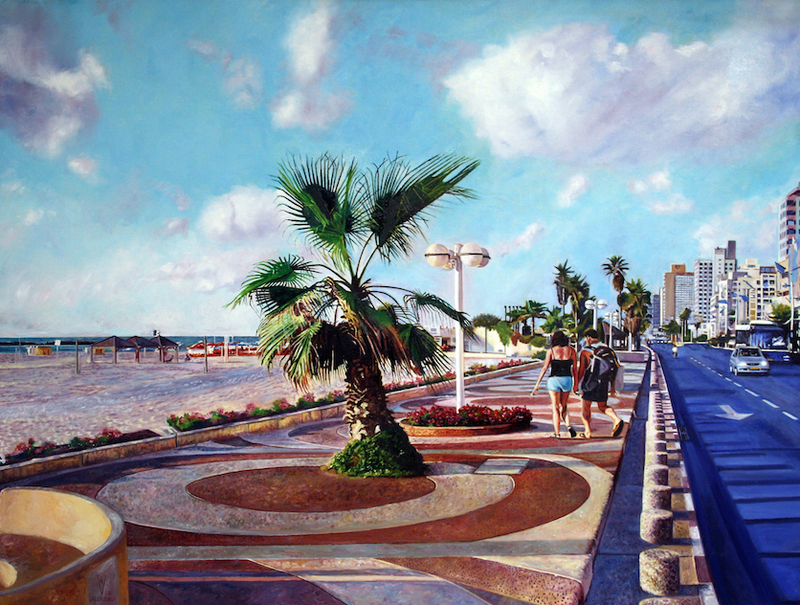 In September 2014 opening gives the Studio and Academy of Realist painting in the industrial city of Holon, where students interested in forming follow realistic techniques, task performed in Israel since 2004. From May 2015 to August performed a special project in Israel prisons service, serving as professor of arts in the context of drug rehabilitation therapies and Alcoholism. In December 2015 performed the retrospective exhibition of students from Bar Gustavo Valenzuela, Jerusalem, Tel-Aviv and opening of the Academy of Realist painting relying on the strong presence of Chilean Ambassador to Israel, Jorge Montero.